I'm mad for even writing this so late in the evening, but I set myself a goal of three posts a week and I'm going to meet it for at least one week. Sleep? I need not sleep. 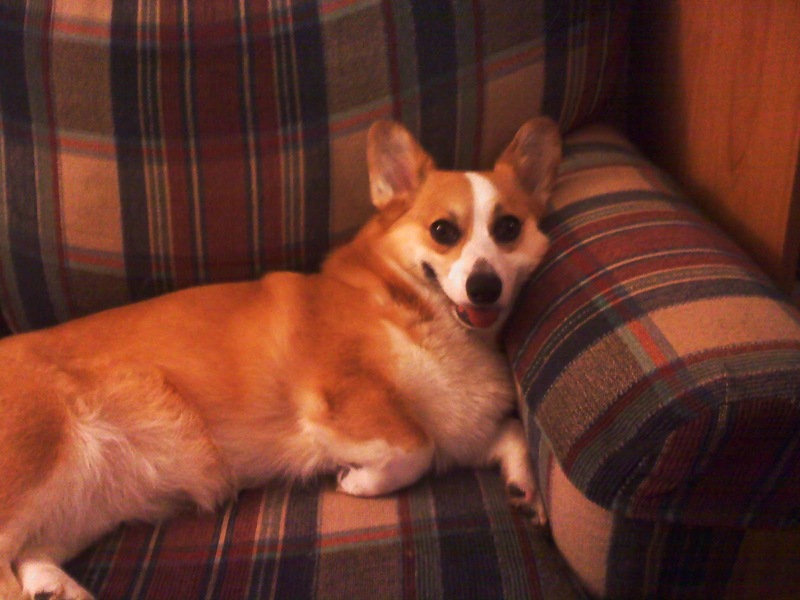 Let's talk about Corgis. 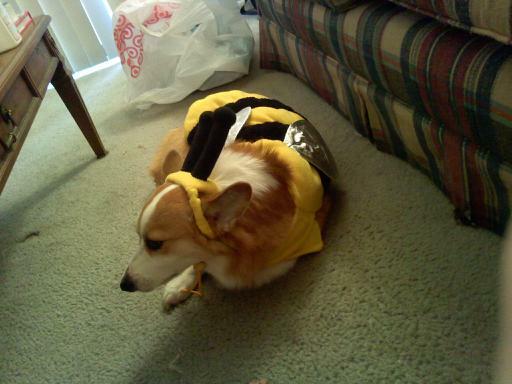 Specifically my Corgi, Lina. Lina is an awesome dog. She's always happy to meet new people, and tends to behave very well in strange houses. In fact, odds are that she'll be much more calm and collected in a stranger's house than she ever would be in my house. So I thought for Christmas this year I'd bring her along to my aunt's house so she could meet the family. There's just one problem with this, and his name is Charlie. He is a beagle. Lina does not get a chance to be around other dogs very often, and introducing her to new dogs is always a total crapshoot. It's not that Lina's particularly unfriendly, but she gets... possessive. Of me and my wife. Specifically, she won't stand for any other dog getting affection from us if she's not involved. She won't be happy if another dog has a toy, either. Treats? Fuhgeddaboudit. 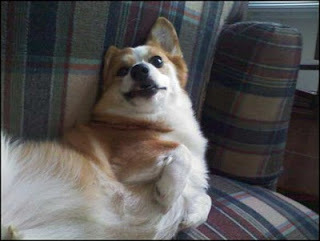 Now the thing is, I know about this because Lina doesn't get along with my in-laws's dog, Melfi. And to be fair, Melfi charged Lina like a crazed bull when they first met. And Melfi's a female, so she's fair game for Lina to try and assert herself as "alpha dog". 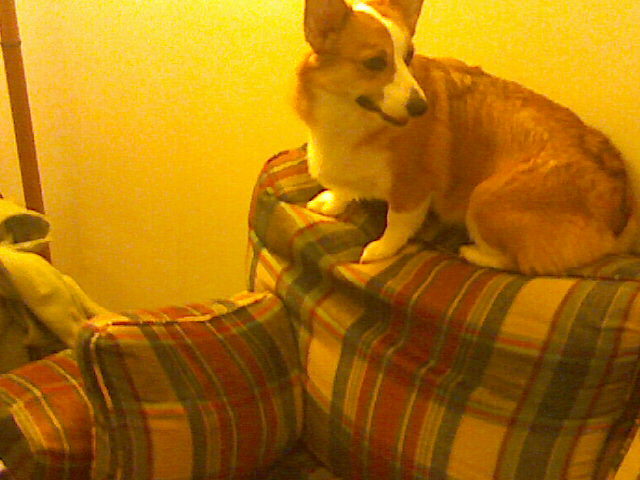 Charlie is a male, and everything I've read points to female Corgis being well-behaved around male dogs. But I don't know, dammit. And it's important to know these things, because if my wife and I ever decide to get a second dog, we don't want two fuzzy little terrors running around trying to start World War III in our living room. My wife and I will be discussing this further, but I'm really not sure what's going to happen. We might take the risk, or we might bring Lina down next Thanksgiving when Charlie won't be around. The two dogs might fall in love, or I might spend my Christmas standing outside with a dog who's trying to "defend" me from my aunt's dog while my family eats fried oysters in a warm house. In which case, I would have no choice but to use the Bee Costume of Shame. And nobody wants that.